Foxtel and Matchbox Pictures today announced production of the second series of the Award-winning drama series Secret City. 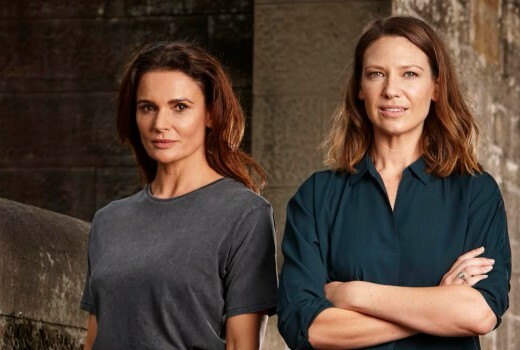 Secret City: Under the Eagle returns for its second season to be shot on location in the national capital, Canberra and Sydney from this week. Produced by Matchbox Pictures, Secret City: Under the Eagle, a six part high stakes political thriller, is set in a world of secrets, lies, assassination and betrayal with a stellar cast line-up including two time Academy-Award nominee Jacki Weaver (Animal Kingdom, Silver Linings Playbook) who once again takes up the role of Labor powerbroker Catriona Bailey and Anna Torv (Fringe, Mindhunter) who won the 2017 Logie Award for ‘Most Outstanding Actress’ for her role as political journalist Harriet Dunkley. Further cast will be announced soon. S1 was excellent and really looking forward to S2. I watch anything with Anna Torv. She’s an outstanding actor. enjoyed the first series…really looking forward to this.